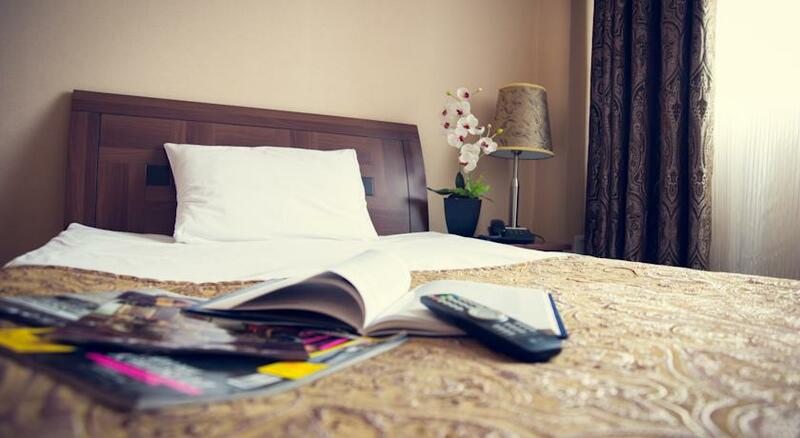 A 5-minute walk from Astana’s Palace of Peace and the Presidential Park, this hotel offers free Wi-Fi and free parking. Modern rooms with satellite TV and a restaurant are featured. Restaurant Brown serves a wide range of local and European cuisine, and a varied breakfast menu is provided. Alcoholic drinks are available at the bar, which includes billiards tables. Spacious rooms with warm colours are offered at Akbulak. Each has a private bathroom with bathrobes and a hairdryer. Astana Concert Hall and the Khan Shatyry Sports Complex are just a 10-minute walk from Hotel Akbulak. Astana Airport is a 20-minute drive away, and a shuttle service can be booked at the hotel.